Raylee won’t be weeping on Willow as she looks for a win like at The Rebel Soule. Here is a little more about Raylee and Kiowas Super Girl who will be running at the BOTB in August. Tell us a little about your horse: Her name is Kiowas Super Girl (aka Willow). She is a palomino mare.She is 19 years old she was born May 20,1998.I have been running her a little over a year. Everyone has a favorite place to run, tell us what yours is: My all time favorite place to run is Crazy Woman Ranch in Ohio. The ground is all ways good,and the people are always nice. 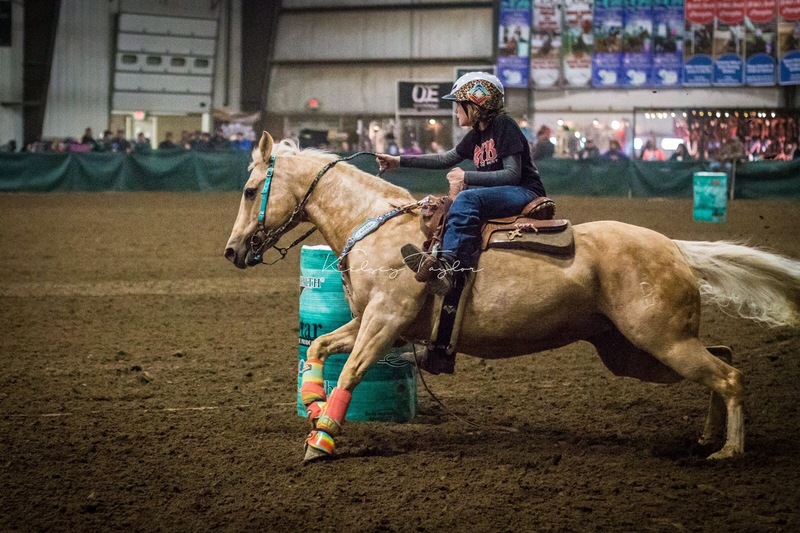 Give us a little more insight about you and your horse: Fallon Taylor is one of my inspiration. But my biggest inspiration is my mom she is always on the side lines cheering on me. Previous Josey Tracey and Abby are coming from PA to OH to WIN the BOTB Pee Wee!